When we talk about Bak Kuh Teh, our brain will automatic think of Klang Bak Kuh Teh. 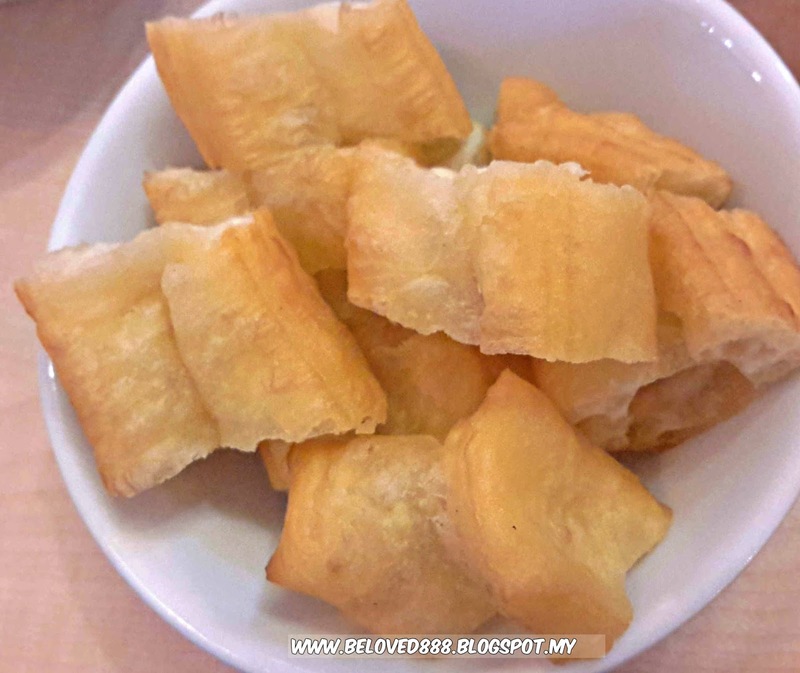 What so special about Klang Bak Kuh Teh ? Le Xiang Bak Kuh Teh is the answer to my doubt as Le Xiang Bak Kuh Teh serve the best Bak Kuh Teh from Klang. 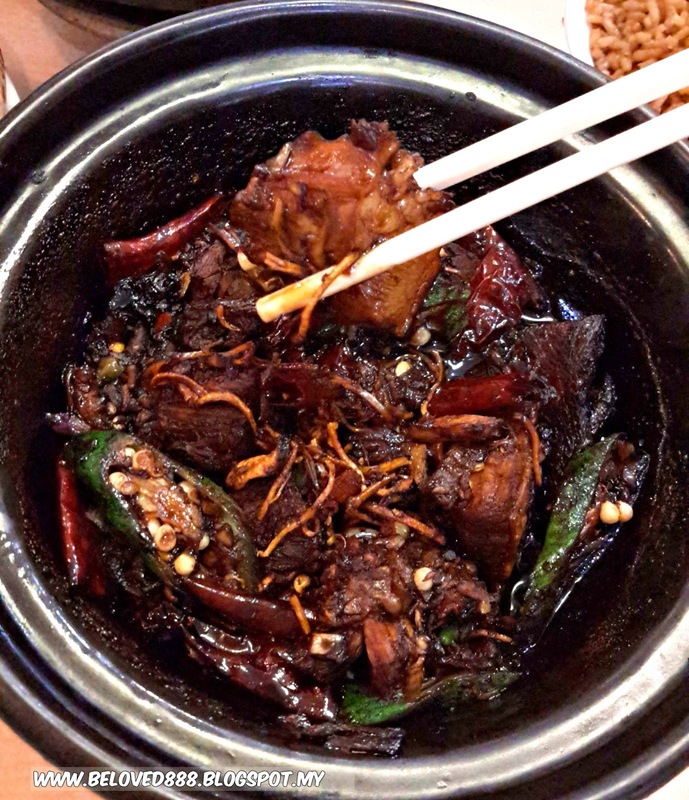 In Le Xiang Bak Kuh Teh, you can choose to order dry Bak Kuh Teh or Claypot Bak Kuh Teh (soup type). I fall in love with their dry Bak Kuh Teh. I can smell the nice aroma when it been served out. The pork meat is so juicy and chewy. Not too spicy and the ingredient is fresh. This is my second time having my dry Bak Kuh Teh at Le Xiang. Thumb up for the owner. 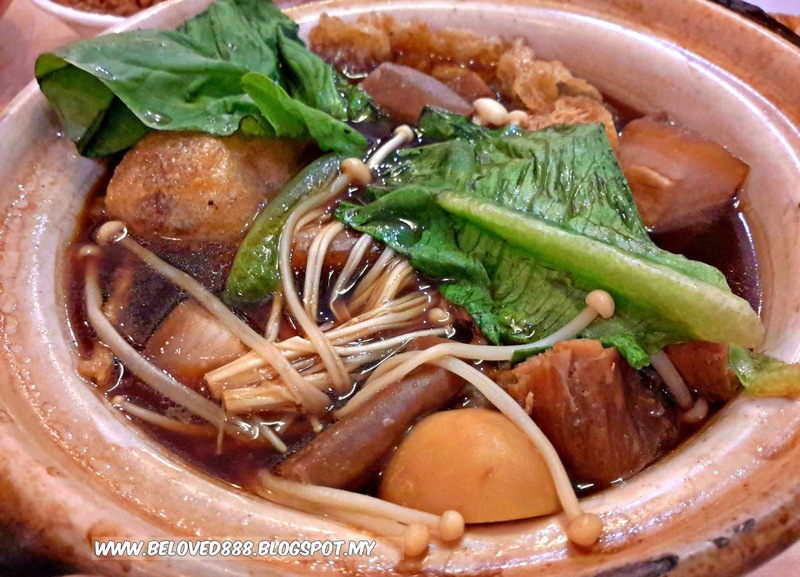 Your meal will not be perfect without Claypot Bak Kuh Teh. For sure I will order their claypot Bak Kuh Teh. The texture of the Bak Kuh Teh soup is thicker and tasty. Add in with fresh button mushroom, vegetables and Enoki to make the the whole claypot more delicious. Not forget to order Yau Cha Guai (RM2.50/per bowl) as the owner homemade of it. 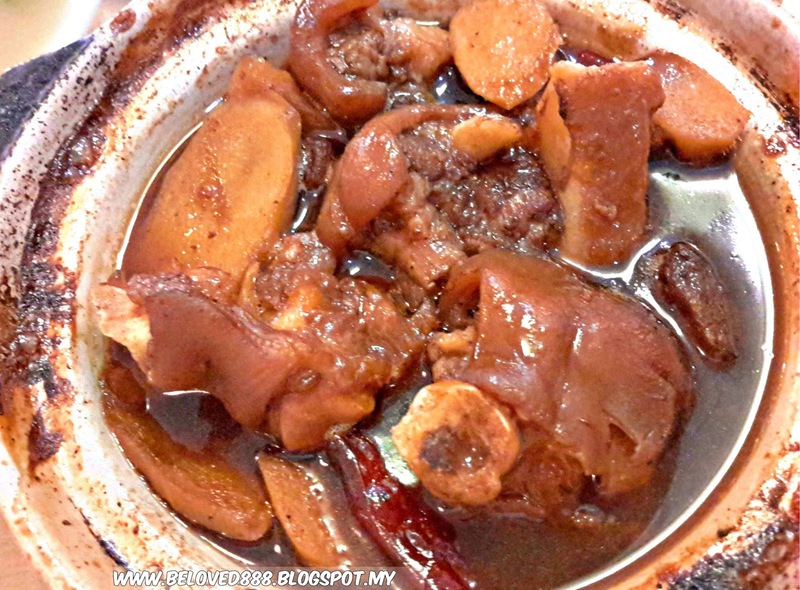 Pig Trotter in Vinegar or usually Chinese called it as Chu Kiok Chu is an old traditional Cantonese recipe originally formulated for mothers after birth. The important part of cooking this dishes is depend on the vinegar. Le Xiang use good quality of vinegar for this dishes. The mixture of sweet and sour really satisfied my appetite. To balance up the meal, we order Chu Tou Tong . The soup is a bit spicy as it boil together with black pepper. 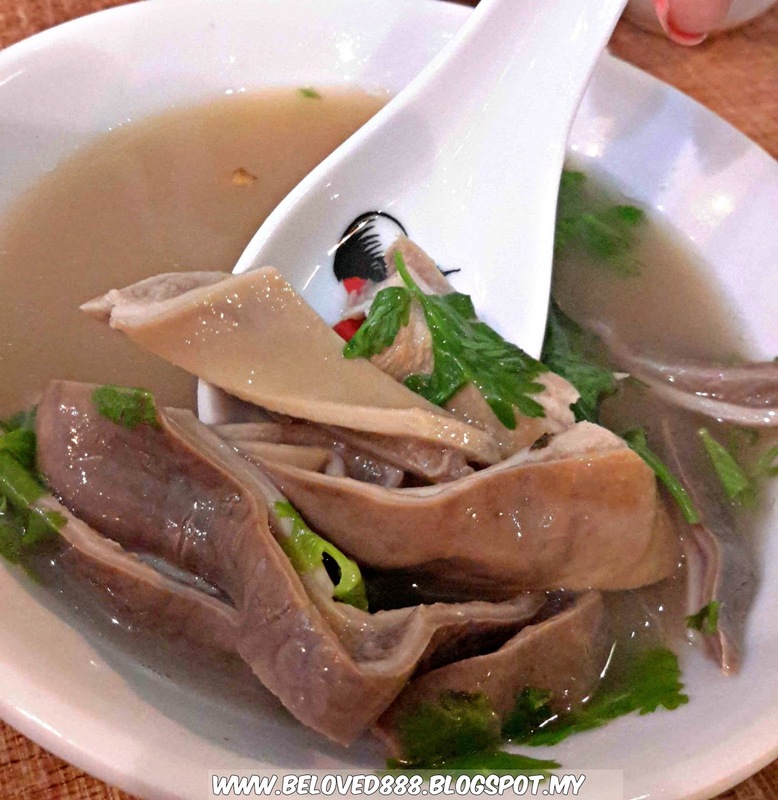 The main ingredient for " Chu Tou tong" is a fresh pork intestine. 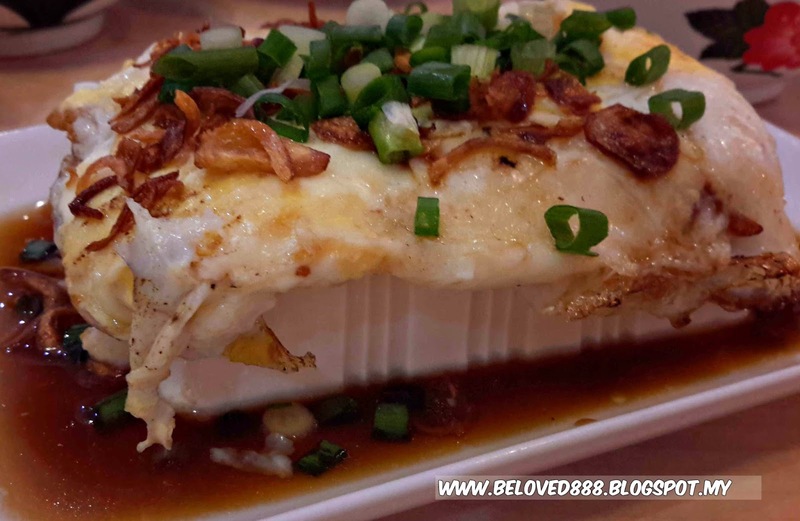 This dish is unique to me as fried egg been add on the top of cold tofu. When you scoop the tofu, you can taste the egg too. Anyone want to try their Homemade desserts??? 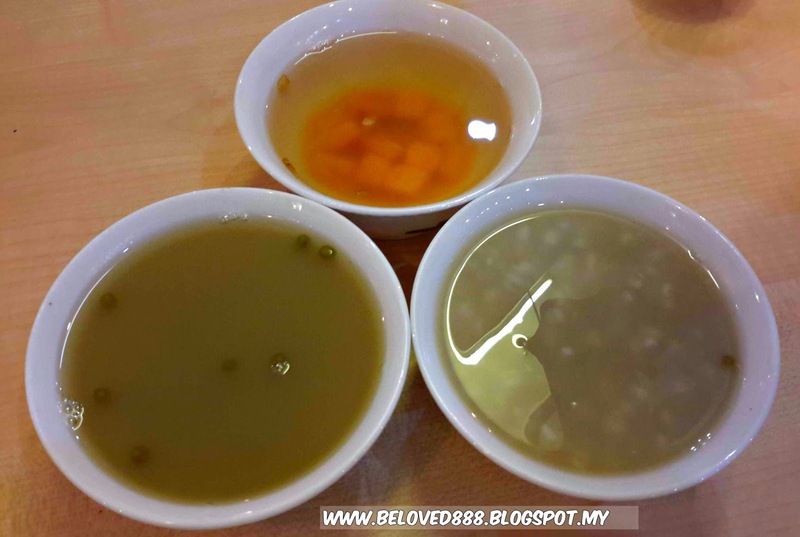 They serve Sweet Potato Soup (RM2.80) , Greenbean Barley (RM3.50) and GreenBean Soup (RM2.80). For more information regarding Le Xiang Bak Kuh Teh, follow them on Facebook. 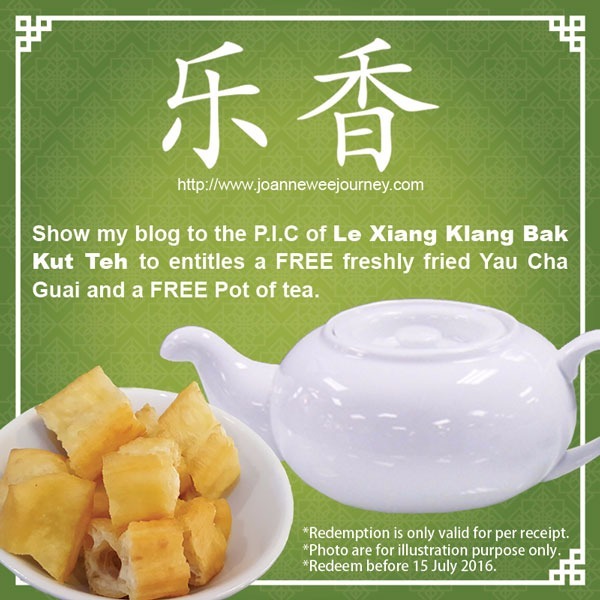 Surprise for my reader as you will get free fried Yau Cha Guai and Free pot of tea by showing my blog post to the owner. This promotion end on 15 July 2016 .